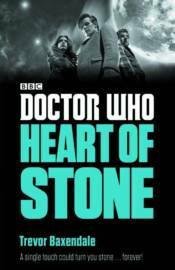 The Doctor, Amy, and Rory are surprised to discover lumps of moon rock scattered around a farm. But things get even stranger when they find out where the moon rock is coming from - a Rock Man is turning everything he touches to stone! Can the Doctor, Amy and Rory find out what the creature wants before it's too late?